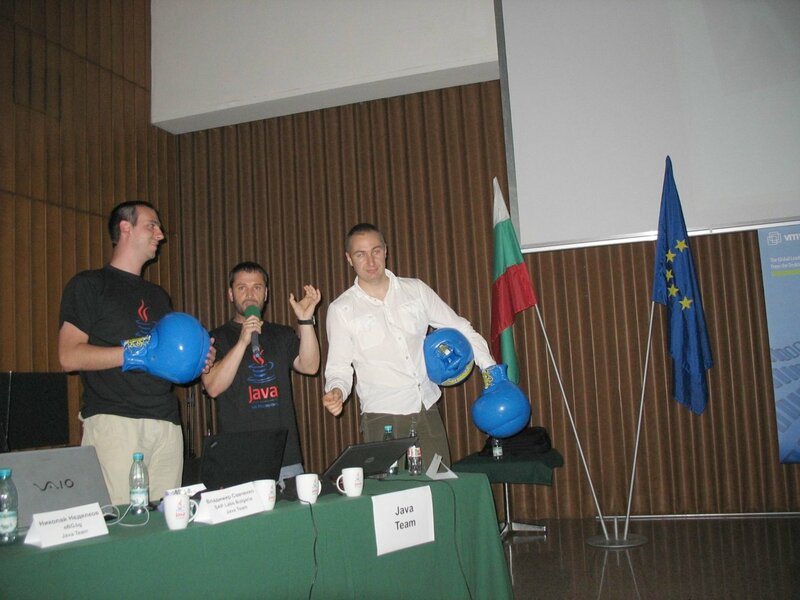 The Java team won the third IT Boxing match on Web Services and SOA on 25 June 2008. 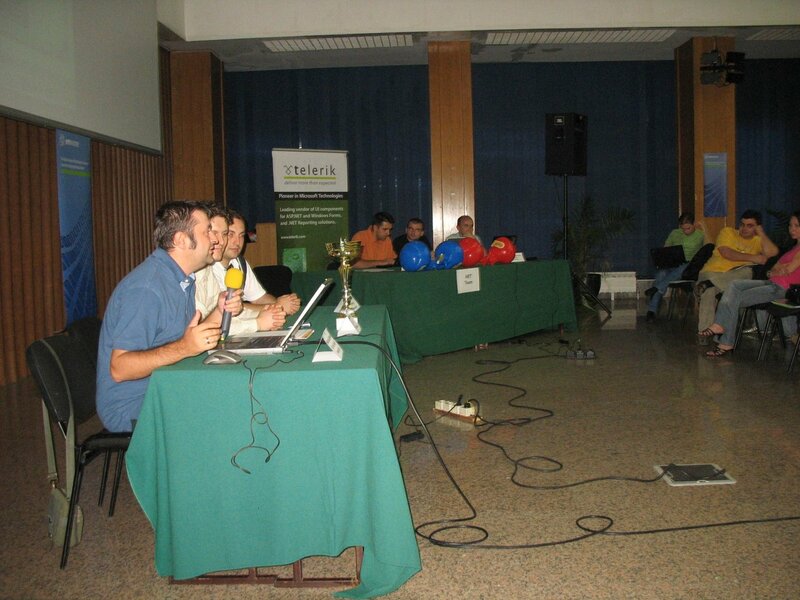 Three teams and 11 speakers took part in the dispute “Which platform is better for Web Services and SOA”. The Java team presented a technical lecture about the Java EE platform as solution for enterprise and SOA applications and a live demonstration. The .NET team presented a technical lecture about Windows Communication Foundation (WCF) and Windows Workflow Foundation (WWF) and their power in building SOA applications. 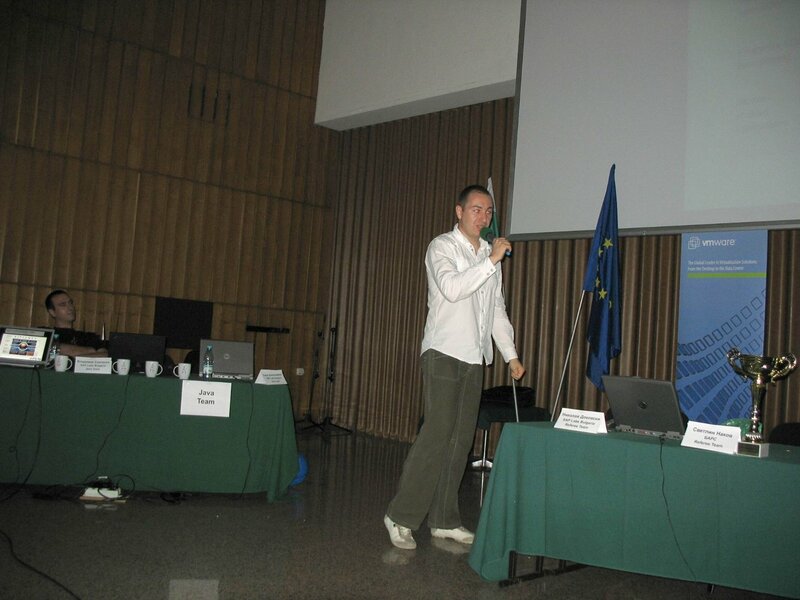 The referee team presented a general SOA lecture and presentation about integration of Java EE, .NET WCF and PHP in a SOA solution. 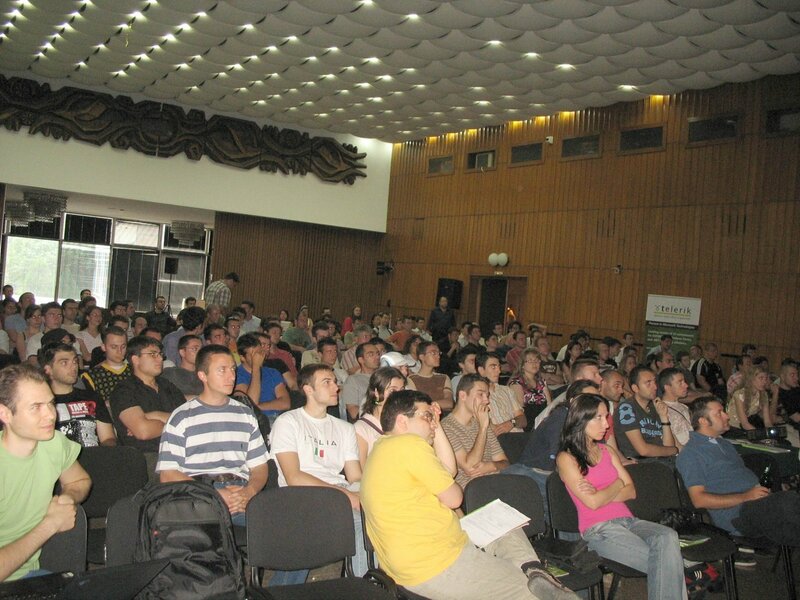 The event was attended by about 200 software engineers. 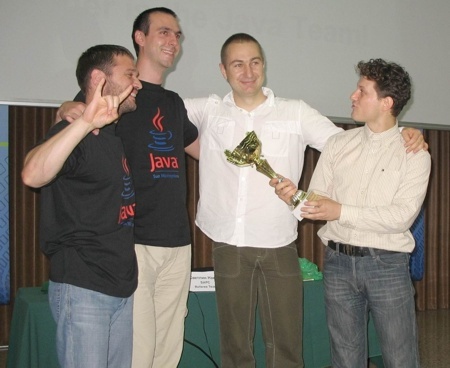 The winner is the Java team! Best Java speaker was Nikolay Nedyalkov. 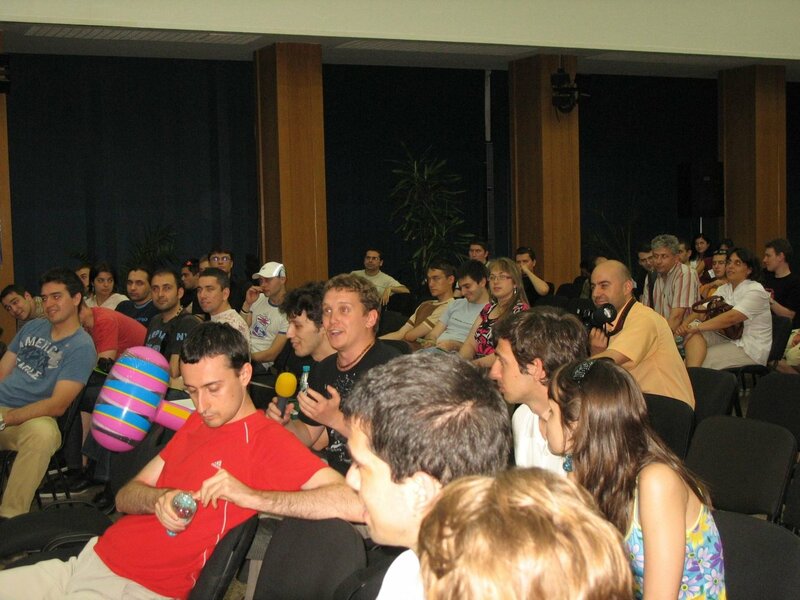 Best .NET speaker was Vladimir Tchalkov. Best referee speaker was Svetlin Nakov. We recorded the fight so everybody can enjoy it. 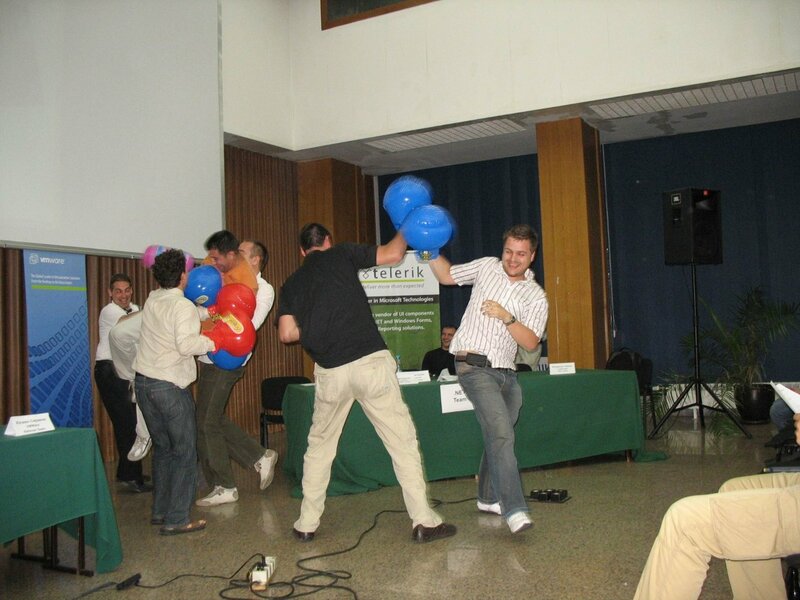 Download the video: IT-Boxing-SOA-25-June-2008-Main-Battle.avi. You are currently browsing the IT Boxing blog archives for June, 2008. 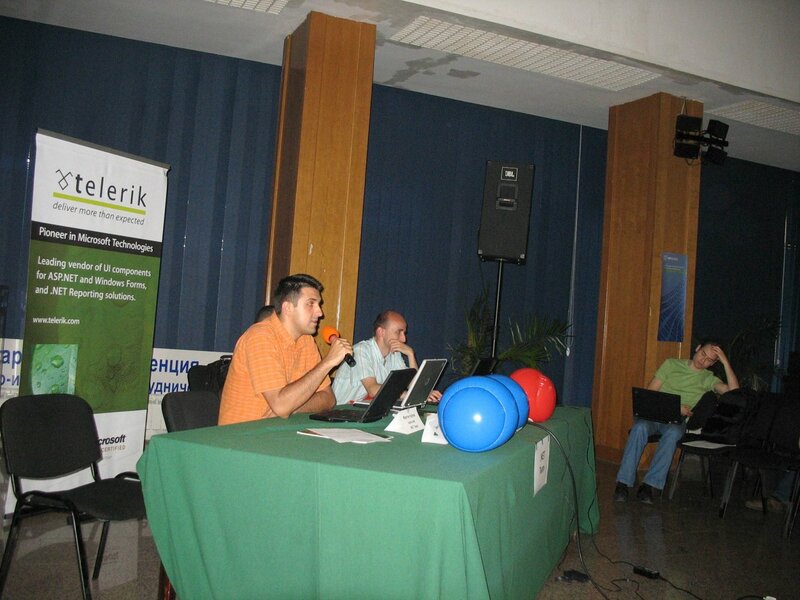 Second IT Boxing Match: Web Development Technologies – ASP.NET, PHP, Java, JSF, Ruby, etc.